A growing number of organizations are discovering that custom software can be a key differentiator for their business. 87 percent of IT decision-makers agree that custom software applications are driving innovation in business technology, and a majority of them are more likely to use custom software over pre-built alternatives. 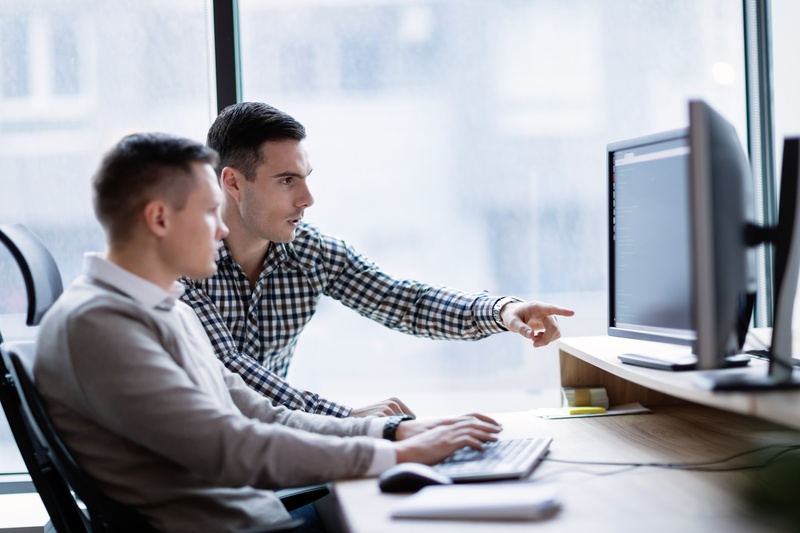 If you don’t have a lot of experience with custom software development, you might be wondering: what is custom software exactly, and how can it benefit your business? This article will go over everything you need to know about building custom software applications. Custom software is, as the name suggests, software that has been made specifically for the use of certain individuals or businesses, typically either by a third-party development team or by in-house developers. While packaged software applications are intended to come off the shelf with a “one-size-fits-all” approach, custom software has been commissioned to work best only with a given company, department, or team in mind. Companies use custom-made software for a variety of reasons. For example, it can help automate much of your manual data entry processes, avoiding duplicate work and reducing costs and risk. Meanwhile, your employees can continue to work on higher-level activities that still require a bit of the human touch. By finding the right custom software development partner, you can build an application that fits your organization based on the features that you actually need. If you have a big idea, you can even work to create a completely different kind of application that doesn’t yet exist but that will make you more productive and efficient. Customization: The big difference between packaged and custom software is the amount of customization that you can achieve. Off-the-shelf software sometimes allows you to change the branding and select specific packages based on your business needs, but you usually don’t have a great deal of choice. Custom software, on the other hand, is built for your organization by definition and intended to improve your business processes. Scalability: Because you usually have total ownership of your custom software’s code base, you can go back to add features or make the software more robust at any time you want. Packaged applications are typically less flexible, which may require you to undergo a costly migration down the line when you outgrow the software. Cost: Many packaged software applications use a subscription-based pricing model for business customers: you need to purchase an annual license for each employee who uses the software. Custom software typically has a large capital investment up front, but with no recurring expenses. Use cases such as business automation can help you save time, lower costs, and reduce manual error. Custom software can fill in the gaps when you can’t find packaged software to suit your needs. You can have different reporting features and integrations tailor-made for your unique business processes. You only pay for the exact features that your organization requires. One study found that 64 percent of software features were rarely or never used, wasting valuable time and money. User adoption will likely be higher because the software has been built for the specific needs of your staff. Employees can give their own input during the planning process. Building software from scratch takes longer than buying a pre-built product off the shelf. However, you can build it in waves so that you roll out the most important features first. You can also use a packaged software solution while you’re waiting for the development process to finish. Custom software requires a large capital investment up front, which may not be ideal for all organizations. Because it’s a one-time cost, however, it’s more likely that you’ll pay it off with your return on investment. Depending on how long you plan to use the software, the recurring cost model used by many pre-built applications may be more expensive over time. While the ceiling for success is likely higher with custom software, it also requires a great deal of forethought. SYDCON has built a project planning checklist to help you decide the most important goals and features that you want out of the software, so that you know what to prioritize during the project. When you’re ready, speak with a software development partner who can help you map out everything that you need. The objective of this discovery process is to arrive at a place where you’re ready to get quotes from different development firms. Experience: Your development partner should ideally have experience with the type of software you want to create and the technologies you’ll use to create it. Ask for a portfolio or customer testimonials. Outsourcing: Some companies outsource development, especially overseas, in order to cut costs. While this isn’t necessarily a red flag, it can create complications in terms of time zones, language barriers, and cultural differences. Communication: The right development partner will listen to your story and make the effort to understand your problems and pain points, offering advice and suggestions.